Photo courtesy of Jancis Robinson. 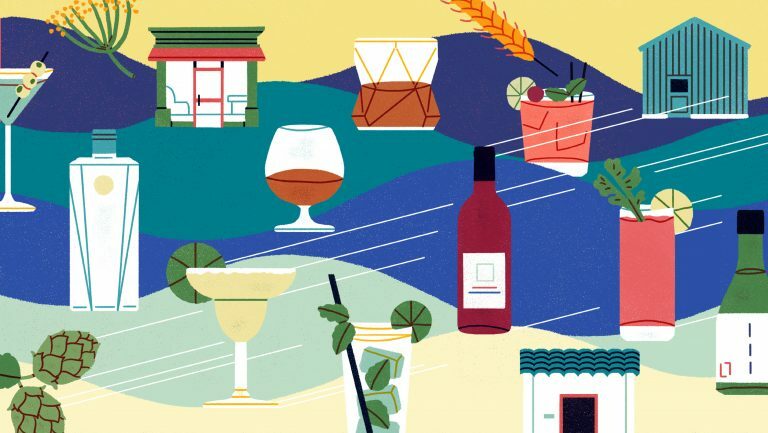 The idea that particular shapes are appropriate for particular wines has become so accepted that other makers of high-end glassware, such as Zalto and Gabriel-Glas, now differentiate themselves by explicitly offering “universal” glasses—wineglasses that are suited for drinking any kind of wine. 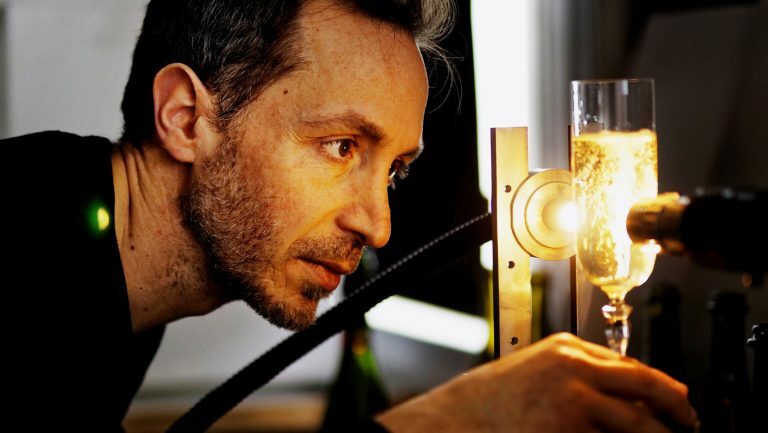 So what exactly can a wineglass do to change the way we taste what’s inside it? The loose explanation one encounters in the marketing materials presented by Riedel and other manufacturers typically refers to particular regions of the drinker’s tongue. For instance, Riedel suggests that the slightly flared rim of the Burgundy Grand Cru glass “directs the wine to the tip of the tongue, highlighting the fruit and balancing the naturally high acidity.” Such claims echo the “map of the tongue” model, in which sweet tastes are detected by the tip of the tongue, sour by the edges, and so forth—a model that seems to have been based on a misunderstanding of research reported in the early 20th century. Contemporary science tends to agree that perceptual differences are minimal from one part of the tongue to another. 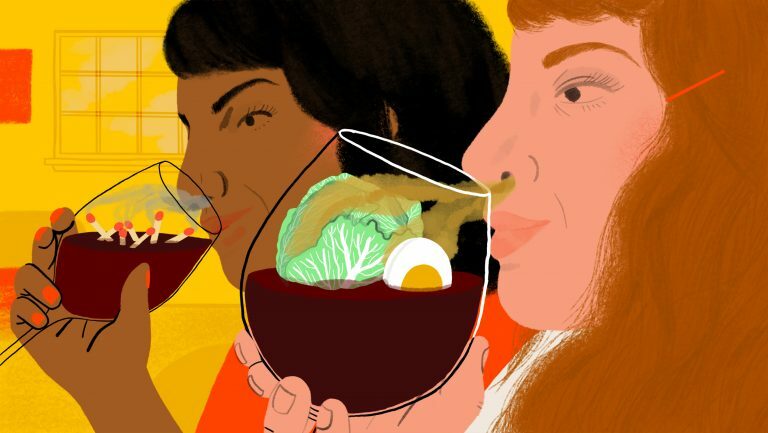 Moreover, “taste as a sensory system actually plays a limited role in wine taste,” explains the Yale neuroscientist Gordon Shepherd in his book Neuroenology: How the Brain Creates the Taste of Wine. “By contrast, smell plays a large role.” And wineglasses, with their bulbous bellies and narrower openings, highlight smell. 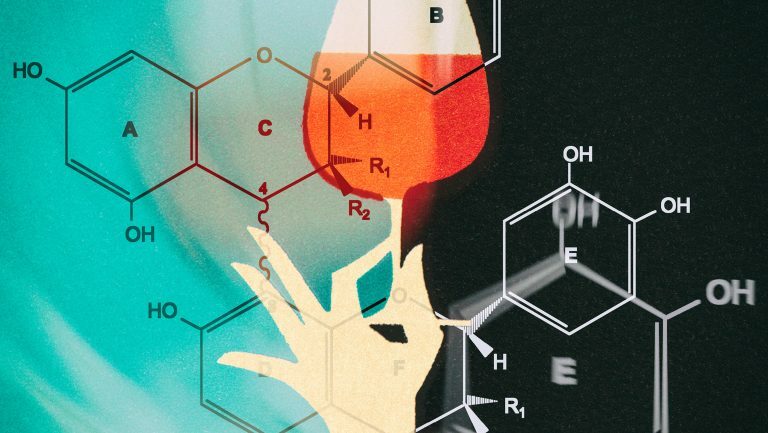 The aroma of wine is made up of hundreds of different molecules, each with different degrees of volatility, and as the wine develops in the glass, those molecules rise and hover, and their concentration in the air above the wine changes over time. 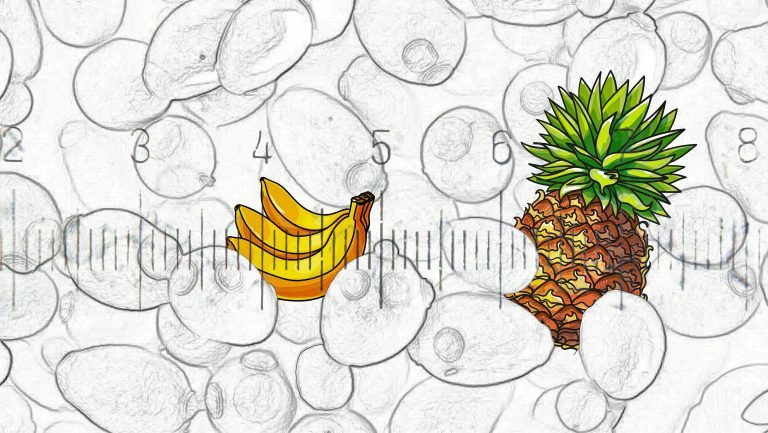 The fill level of the liquid is typically close to the widest diameter of the glass, which means that the wine spreads out and that contact between the wine and the air is maximized—more so when you swirl the wine in the glass. Aromatic molecules evaporate from the wine’s surface, and the glass’s constricted opening retains them in the headspace, the portion of the glass above the wine. 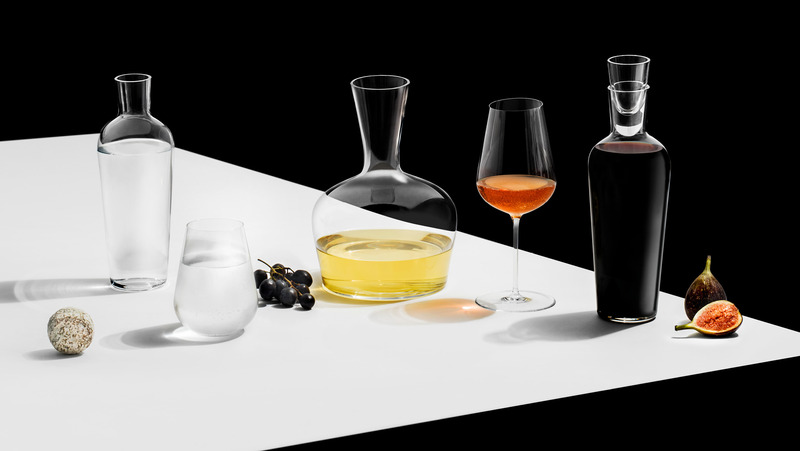 The Gabriel-Glas universal glass is also designed to enhance and not merely hold wine. Like the similarly shaped Zalto universal glass, its bowl has a shallow, cone-shaped bottom, which means that a smaller pour of wine can spread to the maximum diameter of the glass—the designer René Gabriel calls this feature bouquet drive. It then tapers inward toward a narrow opening, the size of which, Gabriel says, is intended to match that of a rose: “A rose doesn’t smell when it’s too open.” And the concave curve of the taper, he claims, allows heavier and lighter volatile aromas to combine in a way that a bowl with convex sides doesn’t. For those who do enjoy a multiplicity of glasses, the options continue to multiply. 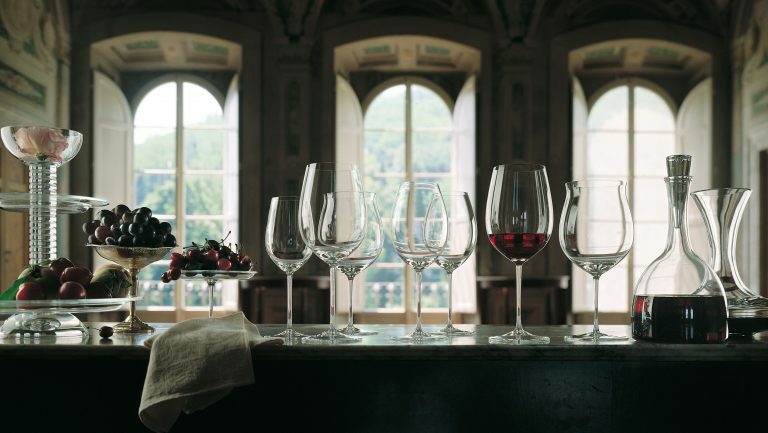 One of the newest Riedel products is a line of glasses called Performance, which have tiny ridges covering the interior surface of the bowl that may or may not influence the flavor of the wine by slightly increasing the surface area where it contacts the air.